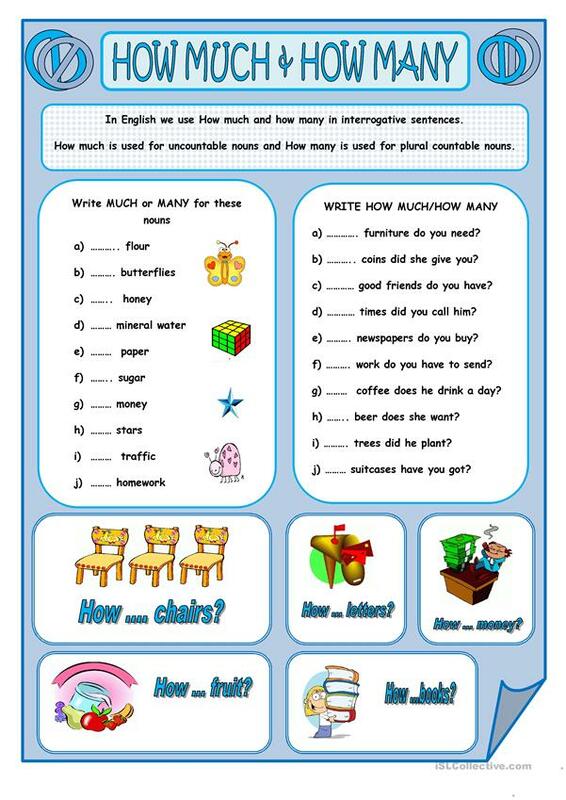 A worksheet to revise the use of how much and how many. Thanks. Have a great day. This downloadable printable is intended for high school students and elementary school students at Pre-intermediate (A2) level. It is great for practising Countable and uncountable nouns in English.